Select the resource group and virtual machine to which you wish to assign a public IP address. Click the “Settings -> Network Interfaces” link for the server in the menu. Select the network interface (there will typically only be one). 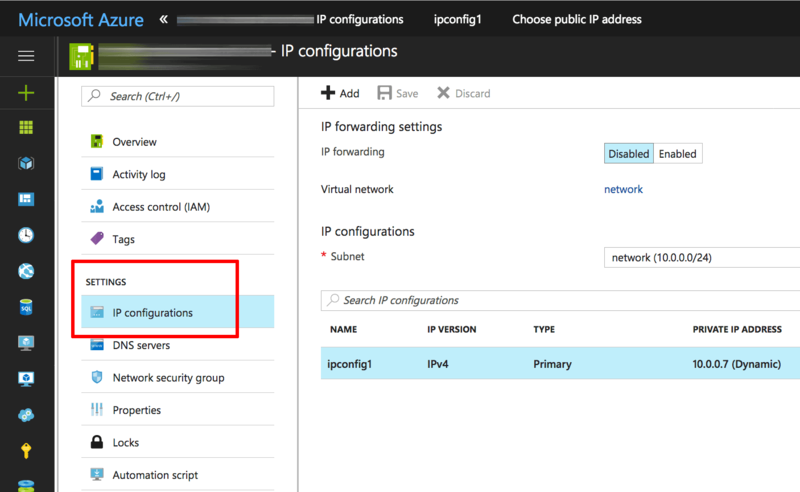 Click the “Settings -> IP configurations” link for the interface in the menu. 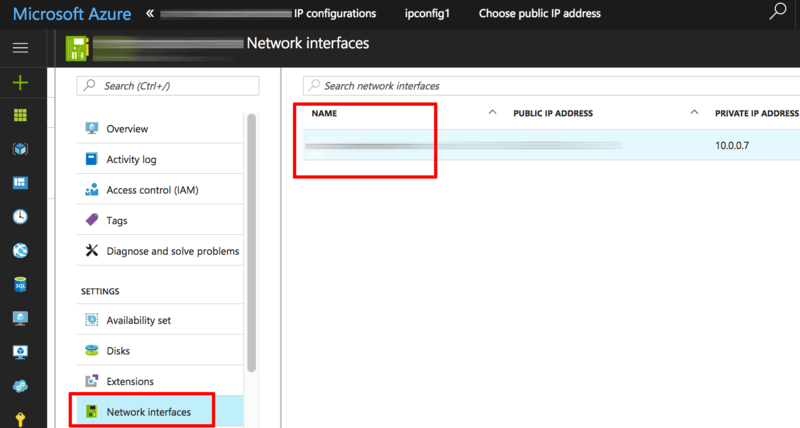 Select the IP configuration for the network interface. 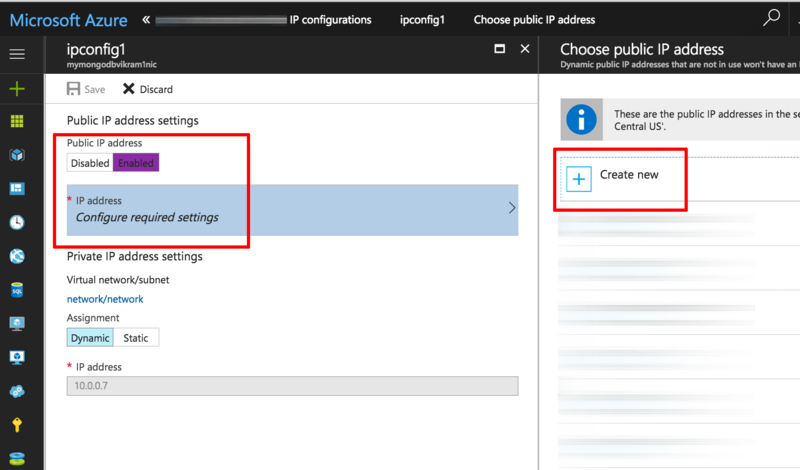 Enable the server’s public IP address in the “Public IP address settings” section. Click the “Configure required settings” menu and, in the resulting sub-menu, click the “Create new” button. 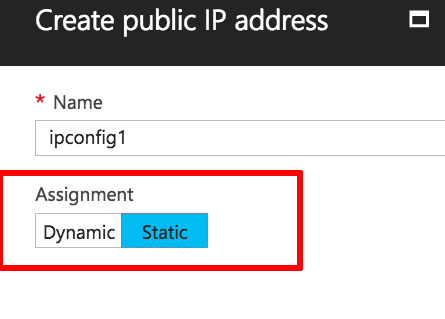 Enter a new for the new IP addresses and set the “Assignment” to “Static”. Click “OK” to save the IP address settings. Save the new IP configuration for the network interface. A new public IP address will be created and assigned to the virtual machine. 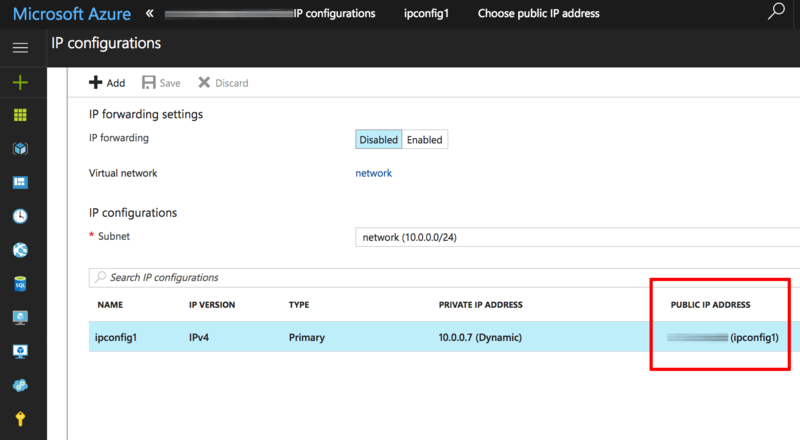 Once the IP address is assigned, you will be able to see details of the new public IP address in the virtual machine detail page, as shown below.